Discover the best marriage secrets from the world's happiest wives. 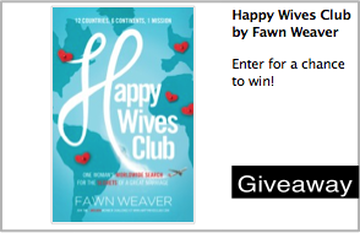 This month's giveaway is a copy of Happy Wives Club by Fawn Weaver. One lucky winner will be chosen to receive this book and mailed to an address of their choosing. Visit our blog or Giveaway page to enter online!